This takes you on from "Kongo Gumi" - the round braid of the bracelet kit to flat, square and ric rac braids. These are all still made on the round disc and are made without adjustments between moves. 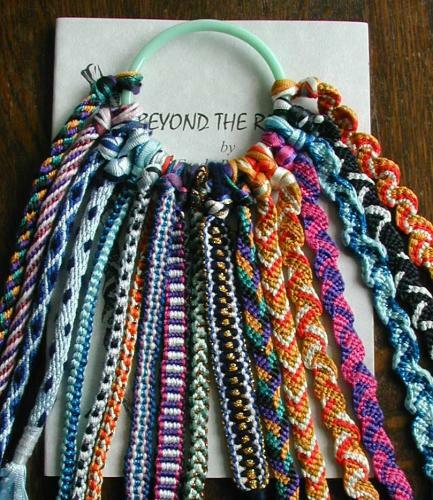 Most of these are adapted from braids made on the Japanese marudai. If you have enjoyed making the round braids, this will extend your range.